Self-Published by Stitch Media with investment from the Canada Media Fund and Ontario Creates. 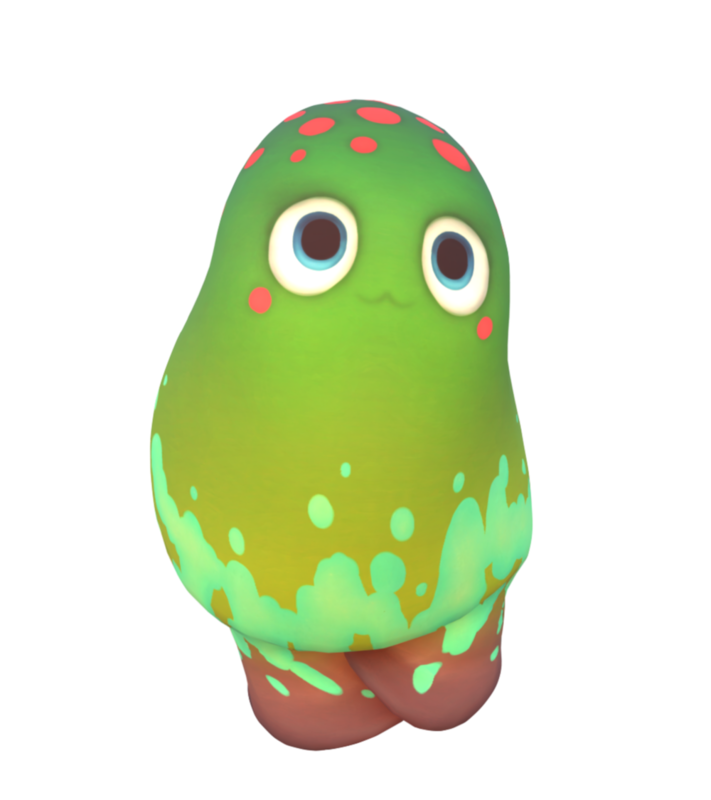 A game about wanton destruction, adorable gore, and...gardening. Terrorarium is a game of wanton destruction and adorable gore in player-made murder gardens. 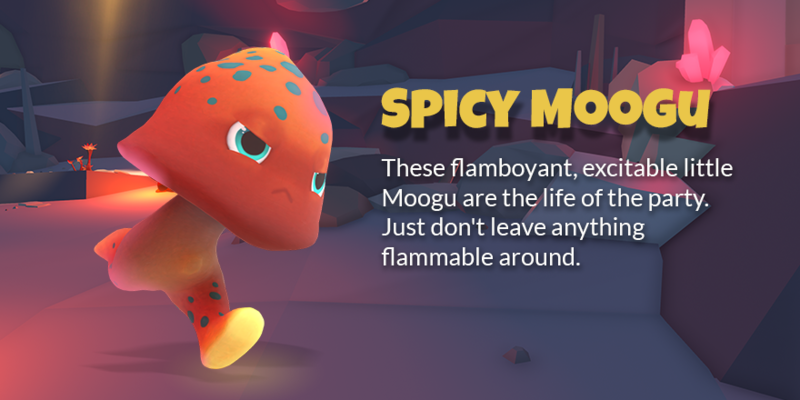 Our early-access Maker Mode builds deadly levels filled with lava pits to murderous plants that you can share to kill untold numbers of cute little Moogu. You play as a space granny, obsessed with winning the blue ribbon from the Intergalactic Horrorcultural Society. 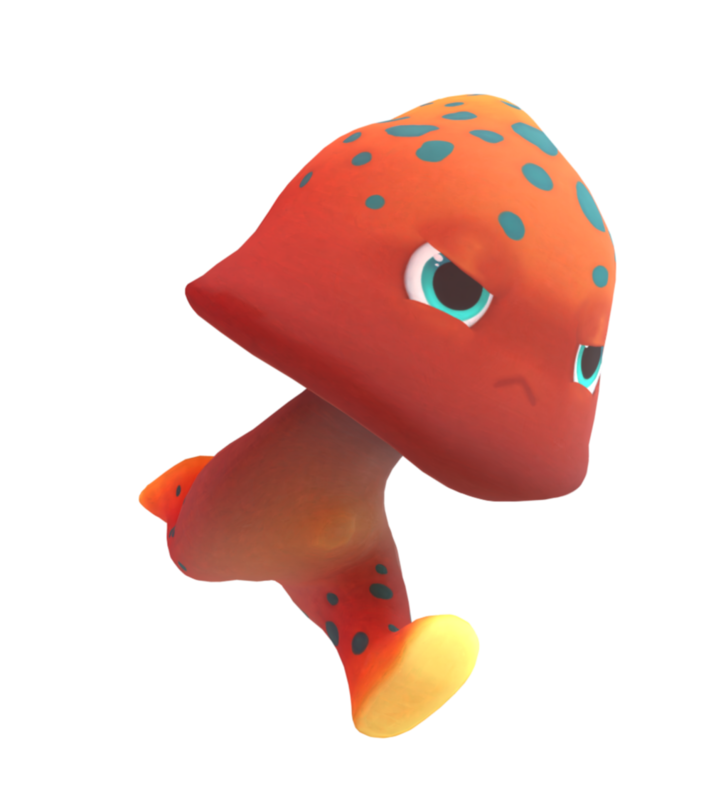 She controls a small army of Moogu: a cute but stupid invasive species who breed out of control which frees up the Gardener to send hordes of them to their violent deaths. Each level is a fresh environment filled with traps to decimate your Moogu swarm. Will you build your own murder garden and share the guilty pleasure with your friends? Terrorarium is a collaborative effort between Stitch Media and the Games Institute at the University of Waterloo. The project began as a brainstorming session between Stitch studio founder Evan Jones, studio director Wayne Shipley and game designer Adam Bradley, who wanted to make a game that revelled in the hilarity and joy of destruction. That first prototype was entitled Tiny Apocalypse. Inspired by the George R. R. Martin's short story "Sand Kings,"the team wanted to make a game where losing catastrophically was both fun and sometimes desirable. 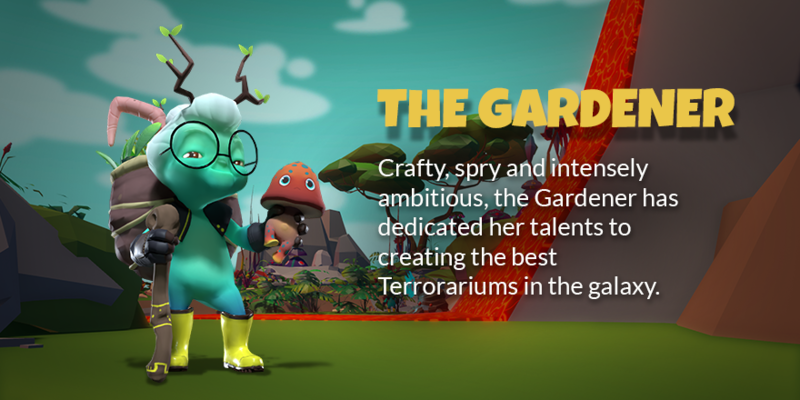 After a 3-day game-jam and a short proof-of-concept development phase, the game evolved from cruelly building and gleefully destroying tiny civilizations, into one where the same destructive impulses could be explored through the world of intergalactic gardening. With a new direction and title, Stitch Media began developing Terrorarium in earnest in early 2018. The team decided to approach community building as an integrated part of the development cycle from the very outset. They incorporated a strategy of radical transparency into their work, documenting their daily progress and process on social media, discussing the project on a development blog and streaming their creative process live on Twitch. They have also opened their dev process up to feedback and playtesting as early as possible, inviting playtesters into the pre-alpha process to incorporate player feedback right from the beginning. The Canada Media Fund (CMF) supports the creation and promotion of popular and innovative Canadian content, as well as of innovative software for current and emerging digital platforms. CMF guides Canadian content towards a competitive global digital environment by fostering industry innovation, rewarding success, enabling a diversity of voices and promoting access to content through partnerships with industry and the private sector. Ontario Media Development Corporation (OMDC), an agency of the Ministry of Tourism, Culture and Sport is the central catalyst for the province’s cultural media cluster including book publishing, film and television, interactive digital media, magazine publishing and music industries. Interactive digital media production contributes over $1.1 billion in revenue annually to Ontario and supports 17,000 jobs. The Interactive Digital Media Fund was launched in 2005, and since then has supported over 400 projects with total funding of over $35 million. The Games Institute conducts research into the past, present, and future of games. Our researchers span the breadth of related disciplines, from the humanities and social sciences through engineering and computer science. With a research network joining multiple universities and multiple industry partners, we explore the human side of games and game-related technologies and interactions, with the constant goal of understanding the compelling user engagement that games deliver in fields ranging from entertainment, education, health, and business. Mitacs is a national, not-for-profit organization that has designed and delivered research and training programs in Canada for 18 years. Mitacs is funded by the federal and provincial governments as well as university and industry partners. Mitacs internships connect companies and organizations with graduate students and postdoctoral fellows, who apply their specialized expertise to research challenges. Working with 60 universities, thousands of companies, and both federal and provincial governments, Mitacs builds partnerships that support industrial and social innovation in Canada. Open to all disciplines and all industry sectors, projects can span a wide range of areas, including manufacturing, business processes, IT, social sciences, design and more. Click here to download all of our partners' logos. Click here to download our character art. Click here to download all of these GIFs. Click here to download a hi res version of our logo. Click here to down load a hi res version of our title card. Click here to download a hi res version of our box art. "Terrorarium is an intriguing Pikmin-esque puzzle adventure that promises a blend of destruction, gore and gardening as you take on the role of a gardener who’s attempting to create the greatest terrarium in the galaxy!" -- KJ Robertson, Alpha Beta Gamer, "Terrorarium -- Pre-Alpha Signup"
Contact natalie@stitch.media to request a press copy. Stitch Media is an interactive media production company that specializes in telling stories using new technology. We love collaborative approaches to projects and storytelling. Stitch Media is an interactive production company focused on building innovative digital experiences and meaningful audience engagement with new technology. We create story and game experiences that evolve with the times. Our projects span web, mobile and games that push the boundaries of what’s possible. Our work has been recognized nationally by the Digi Awards, Applied Arts Magazine, the Canadian Screen Awards and internationally by UNESCO’s World Summit. Our team has worked with Disney, Microsoft, FOX, Discovery, CBC, Bell and consulted for the Smithsonian Institute and the Canadian Museum of Human Rights. To learn more about Stitch Media, including out other projects, click here. To download our logos, click here.